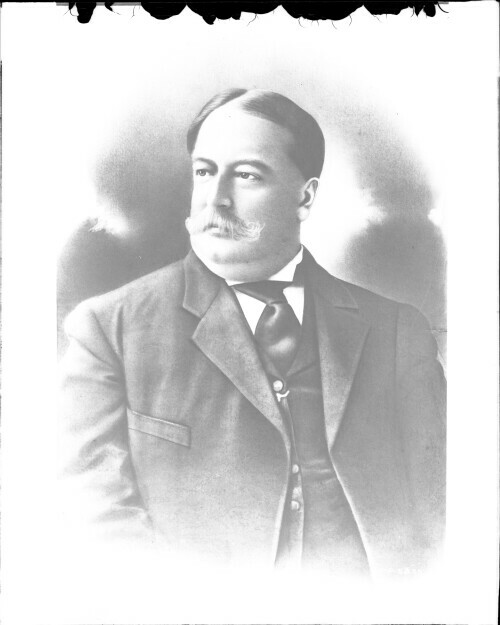 This photograph is taken from a souvenir booklet published by the Albertype Company in Brooklyn, New York. 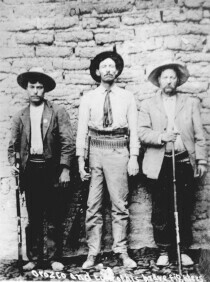 This photograph may also be in the city of El Paso. 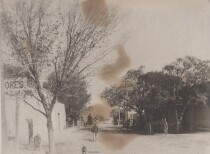 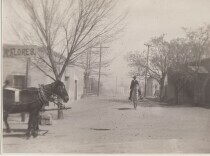 Street scene, probably in Juarez. 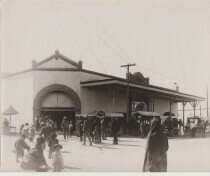 Entrance to the City Market. 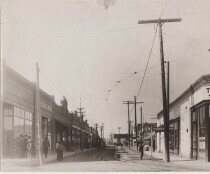 Part of the tourist district in downtown Juarez. 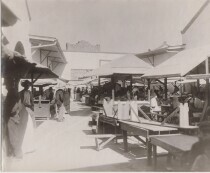 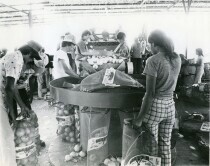 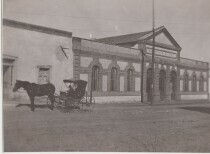 Market buildings and open spaces used for markets were familiar sights in Juarez. 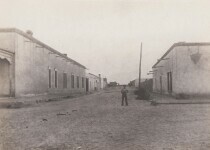 This is a government building in Juarez. 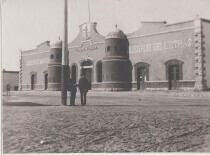 Public jail in the city of Juarez. 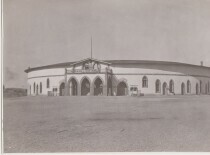 Bull fighting arena, Ciudad Juarez. 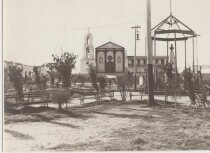 The Church, main plaza, and bust of President Juarez. 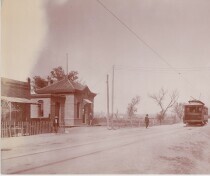 The street car is coming in from El Paso, Texas so this is the Stanton St. bridge.